Bamboo Velour Cloth Wipes - the SOFTEST Cloth Wipes You'll Ever Use! 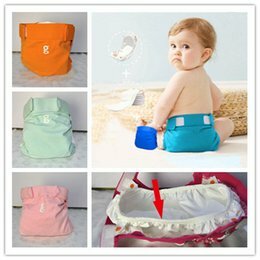 Using cloth wipes while cloth diapering is a great way to save even more money and is better for the environment and baby. These bamboo velour cloth wipes are our favorite for size, comfort, and material! Before Sophia was born, I made my own cloth wipes out of terry washcloths and old t-shirts. Those are in the closet as cleaning rags now [yep, there are plenty of alternative uses for cloth wipes], but my current cloth wipe collection is mostly comprised of wipes made of hemp, cotton, and flannel. When Nikki from Two Sweet Potatoes contacted me about doing a review of her Organic Bamboo Velour wipes, I was interested, but a bit hesitant. I’ve felt OBV before and sure, it’s soft, but how good could it really be for wipes? I was worried that they would be too soft and just move everything around rather than really clean. When I pulled these wipes out of the mailbox, I was in love. They were already so soft, very well sewn, and packaged together so lovely. I immediately emailed Nikki and told her that I may steal them for my own make-up removing cloths! I did prep the wipes. I don’t think you need to prep OBV, but I did anyways, just to be sure [did 3-4 washes with other laundry]. If you have used cloth wipes, you’ll understand why I did. My flannel, cotton, and hemp wipes had to be washed at least 10 times before they would absorb the water when I squirted them. It’s super annoying, as the wipe solution goes everywhere except onto the wipe. These wipes never did that. I store my wipes pre-moistened with some of my favorite cloth wipe solutions. Two Sweet Potatoes’ velour cloth wipes are the perfect size. The shop boasts “Just say no to folding!”. They fit perfectly in a disposable box, as you can see! Nikki hand finishes each of these wipes and the color around the edges is adorable and makes them a bit more fun! I highly, highly recommend you having these wipes in your stash, but beware… you’re going to want more than the 8 pack! Why I Love Two Sweet Potatoes’ OBV Wipes: Absolutely, by far they are the softest wipes ever. They’re organic and Nikki hand finishes them, no chemical fray block on these beauties! The colors, oh the colors! Buy Them: You can buy an 8 pack of OBV Wipes (in your choice of 6 different colors) for $12.00. There are also cute Bibs, Burp Cloths, and Infant/Toddler clothes for sale at the Etsy Shop. All items are Organic! Ready to learn more about cloth wipes? Here’s all your questions answered + a video on how to fold cloth wipes so they pop up! Are these wipes single ply or double ply? I’ve only found one website that suggests that single ply flannel will work in a wipe warmer but not double ply. Do you know if that is true or not? I’m not sure honestly. I believe these were just a single ply. My son actually went through a horrible rash stage and all we could use was cloth wipes… it was amazing on his skin!! I wish we had stock to do it all the time!! With my next Im planning to plan ahead and cloth all the way!! As to you question about cleaning poo off of wipes, here is what I do. I'm relatively new to using cloth wipes and I don't even have a sprayer so I'm sure there are easier ways to do it. I have a small plastic spoon (I read somewhere else that someone uses a spork) that I keep in the bathroom. With dirty wipes, I always plan to keep one corner clean and I'll hold that corner while I clean off the wipe with the spoon. It's been working for us so far! These look great! I am a new follower, I found you on Etsy through Two Sweet Potatoes. I also have a green blog and I am working with someone else to create a green blog hop, let me know if you are interested in co-hosting with us!